Warmer weather is here, which means one thing for pilots: It’s fly-in time! Sun ‘n Fun is here and Oshkosh is right around the corner. Our local airports are busy prepping for airport days and pancake breakfasts. And then there are those summer trips we promised the kids. It’s time to get the airplane out of the hangar! But maybe it doesn’t have to be the first time. Maybe if he had access to a simulator to practice flying the Oshkosh arrivals before going, he’d be safer - and so would everyone else. Get familiar with the Fisk arrival at Oshkosh by flying it in the simulator before you go. Discover RIPON, Fisk Avenue, and the railroad tracks on the simulator so that each is easier to find when you get there. And then test your land-on-the-dot skills by practicing a stable approach when you’re instructed to land half-way down the runway. Planning to fly the Hudson River Corridor and check it off your bucket list once and for all? Practice your radio communication and get familiar with your GPS navigation skills before you go. Whether you fly the VFR transition or the exclusion, you’ll be busy on the radios and busy navigating the airspace, too. Practice navigating with your GPS and steering clear of restricted airspace while making your required position reports and/or radio calls to approach. Summertime is a great time for that trip to the mountains. Whether you’re off on a family camping trip or heading out on a fishing excursion with your friends, the mountains are calling and you must go. But don’t load up all your camping gear and friends and depart for the mountains and canyons without first getting proficient in mountain flying. You should get specific mountain flying instruction if it’s your first time, of course, but even pros should review density altitude and mountain flying proficiency for the specific airport and weather conditions before going. And if you can’t go camping? Try out an approach in the simulator to Aspen on a hot, humid summer day just for fun. Add a summer afternoon thunderstorm to make it more challenging. Ocracoke Island is a wonderful beach destination to fly into, but it’s not without challenges for the pilot. It’s a (relatively) short strip next to the ocean, and it’s surrounded by trees, which means crosswind and wind shear conditions are common. Take the opportunity to get into the simulator and practice short field crosswind landings in bumpy conditions before heading out. Family vacation to Martha’s Vineyard? Haze and fog are common there, and if you’re not instrument proficient, you may not get into the airport at all. A vacation to Martha’s Vineyard presents a perfect opportunity to brush up on your over-water instrument flying. Challenge yourself and fly approaches to minimums in the simulator. At night. In the fog. Most of us plan on going somewhere this summer. And many of us intend to fly there. As flight instructors and flight school staff, we often find ourselves coaching other pilots on the ins and outs of these fly-ins: how to get there, which runway to use, which approach to fly, what the weather patterns are, and mostly, what not to do. 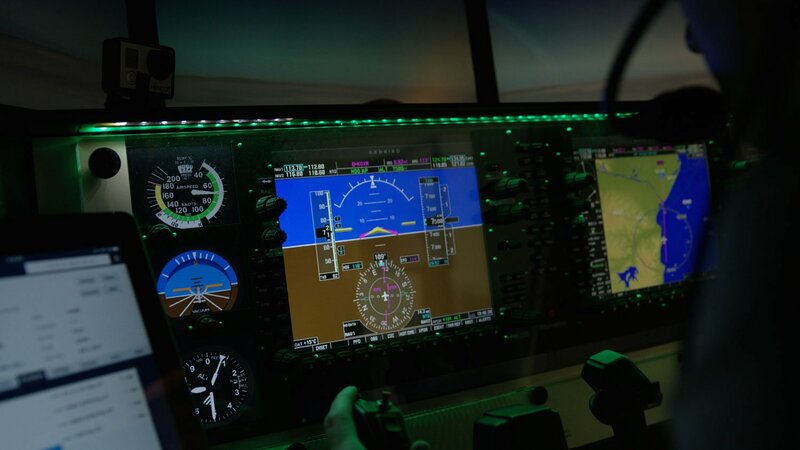 Utilizing the simulator is an easy and inexpensive way to keep pilots proficient and increase their comfort level with the type of flying they plan to do this summer.